There’s now a little over four days before the trade deadline on July 31 at 1 p.m. PDT, and so far the Dodgers have done a whole lot of nothing. For now that’s not a concern as the big fish aren’t off the board yet and the haggling over top prospects from contenders will undoubtedly go down to the deadline. In the case of the Dodgers, as I mentioned on Twitter yesterday, the hold up primarily appears to revolve around other teams demanding either Walker Buehler or Alex Verdugo in deals, which understandably the Dodgers would rather not do. And thus, the waiting game continues. But who are we waiting for? Well Yu Darvish is the obvious one and nothing has changed on that front since it was covered here before. 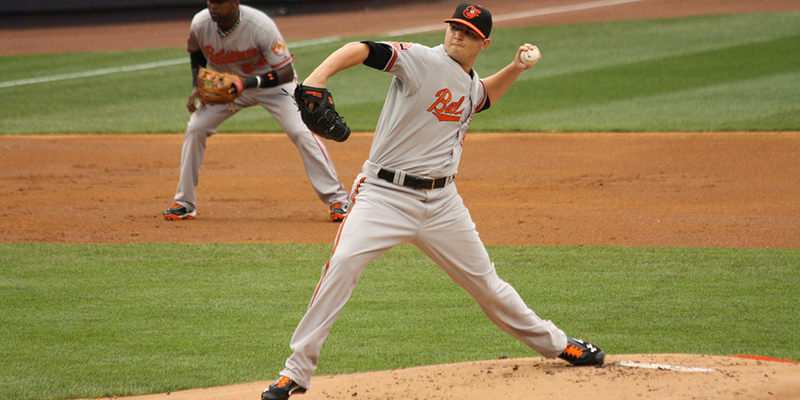 Another target that the Dodgers were reportedly interested in was Orioles closer Zach Britton, but according to Joel Sherman of the New York Post, many teams are cooling on Britton based on what they’ve seen from him since he’s come back from the DL, and the Dodgers may be among them. So that sounds quite negative in terms of whether Britton is actually healthy to demand the package we talked about earlier. And honestly, it’s hard to disagree. After two seasons (arguably three) of elite relief performance, Britton currently carries a 3.50 ERA, 2.90 FIP, and 4.77 DRA, mainly because his strikeout rate, walk rate, and ground ball rate are all going in the wrong direction. More importantly, since coming off the DL, Britton hasn’t worked back-to-back days in almost a month and has a ERA of 6.00 in nine innings. It’s a .419 BABIP and 13 hits in the small sample size, but seven strikeouts and four walks aren’t exactly encouraging either. I doubt the Orioles would surrender Britton at a discount, but that’s the only reasonable way I could see a team paying for a player that still very much a question mark. Wouldn’t surprise at all to see him not dealt. 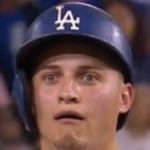 If not Britton then what else can the Dodgers do, right? Brad Hand is another option that we’ve looked at in a potential trade, but Dennis Lin of San Diego Union Tribune reports that Executive Chairman Ron Fowler and GM A.J. Preller are going to keep the asking price high. If Hand is actually available, then the reportedly astronomical asking price will likely come down, but Preller’s history suggests it won’t move by much. At that point then, it just depends on which prospects the Padres like the most and which team is desperate enough to surrender them. It could very well be the Dodgers. Keeping up with the theme of relief, reportedly potential trade target Addison Reed is seen as the fallback option of the Dodgers, according to Jerry Crasnick of ESPN. Mets reliever Addison Reed is a potential fallback option for the Rays, Dodgers, Red Sox and other teams looking for bullpen help as the deadline approaches, according to ESPN’s Jerry Crasnick. “At the end of the day, he is pretty freaking good and very durable,” one evaluator said of Reed. But the frequency that Reed has been used by manager Terry Collins is also a concern for some interested teams. Reed makes a lot of sense as a potentially cheap but quality options, even if he’s not quite the impact reliever teams covet. Meanwhile, with Darvish tanking his last start (3.2 IP/10 ER), Sonny Gray has done the opposite, especially recently. Gray has rebuilt his value by demonstrating the form he was in from 2013-14 throughout 2017, but especially in July, where he has a 1.48 ERA in four starts. Oddly then, the Dodgers don’t seem involved in talks for Gray at all, with the Yankees, Astros, and Mariners being mentioned instead.